At West Side Community House (WSCH) in Cleveland (North Coast District), our work with low-income, inner-city children, youth, families and seniors is filled with wonderful success stories, and love, laughter and human kindness in the face of what appear to be insurmountable challenges. WSCH Ministry – Family Strengthening: At Christmastime, we can easily reflect on the love shared between a mother and her child. Paintings of Mary, gazing down at Jesus as she nestles him to her breast, move us and remind us that God loves us all, just as a mother loves her child. The bond between mother and child cannot be underestimated. At WSCH, we know that nothing is as traumatic as when children are removed from their home. Most often the reason is neglect, not abuse. 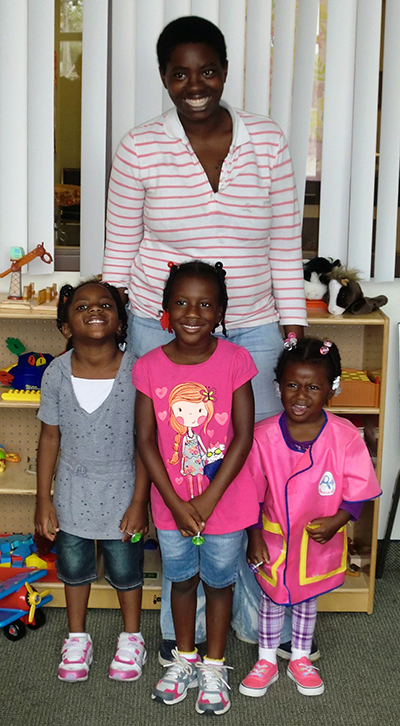 The WSCH Family-to-Family program works with the families. It identifies strengths, then connects families with community supports to help them become stable and strong enough to be reunited with their children. Miranda, a young stay-at-home mother of three, found herself involved with Child Protective Services due to domestic violence episodes with the children’s father. Her daughters were removed from her care and placed in foster homes and their father was incarcerated for the events. Before her children could be returned to her, Miranda, who stayed with her mother in a small apartment, needed to successfully complete domestic violence counseling, find employment and obtain her own housing. During this time Miranda remained in contact with her daughters through family visits at WSCH. After a three-year struggle, she obtained her GED, got a job, found appropriate, affordable housing and was then reunited with her daughters. This is one example of WSCH ministry as we walk firmly beside families on the path to reunification. 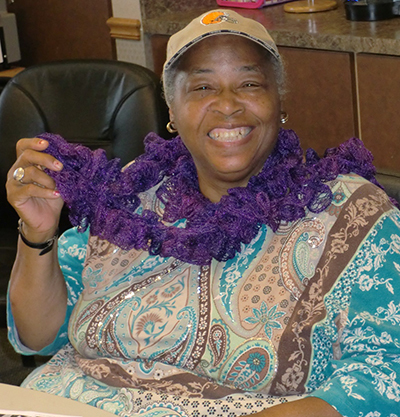 WSCH Ministry – Senior Art Expressions: The WSCH Senior Center helps low-income seniors maintain independent living. Art Expressions, part of the Healthy Bodies-Healthy Minds program, is led by two United Methodist volunteers. It provides a creative outlet for older adults, at the same time it sharpens their minds. WSCH Ministry – Youth Community Service : WSCH programs aren’t all about receiving services. Our Youth Services program, Sisterhood, a coming of age journey for girls 10 – 18, teaches the importance of giving back. Community service is a strong component of their Local/Global Outreach Learning Cycle. 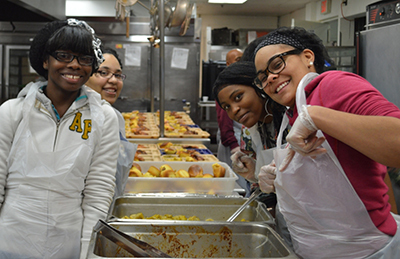 Volunteer activities range from serving meals at homeless shelters to packing groceries at the Food Bank. Visit the West Side Community House website to learn more about how it has been transforming lives in the community since 1890. *Renée Aten is Westside Family Resource Network coordinator.